Blend all the above ingredients in a mixer. 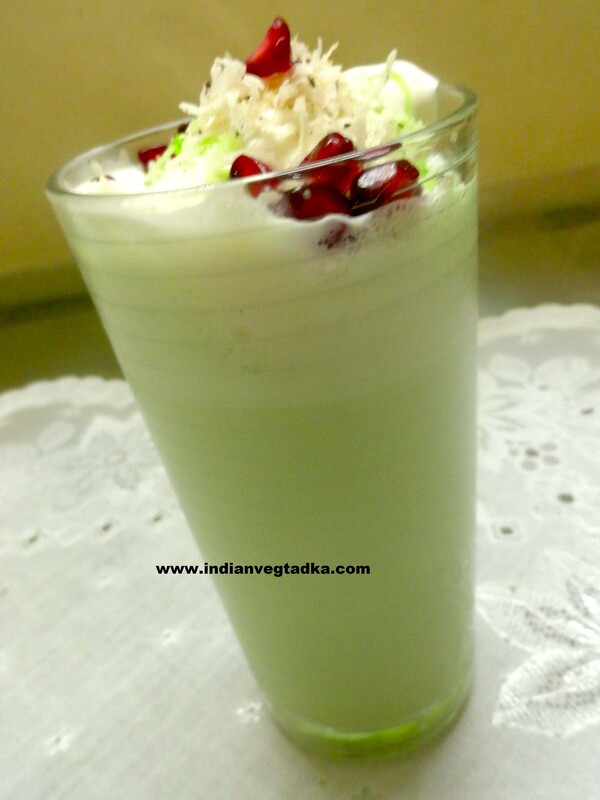 Now take a long glass , add 1 tsp khus syrup pour half the shake then add ¼ cup plain coconut water then 1 scoop of ice cream and the top grated coconut and red cherry. Serve immediately. Enjoy the drink..